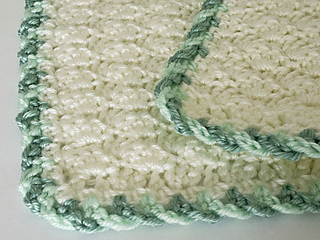 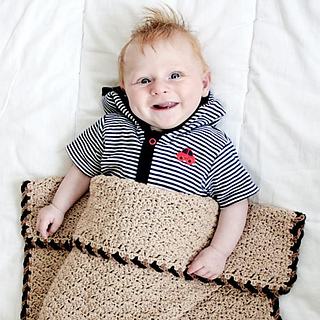 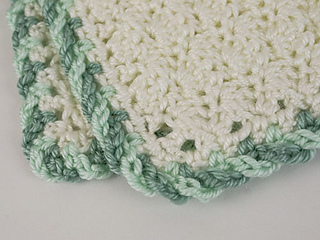 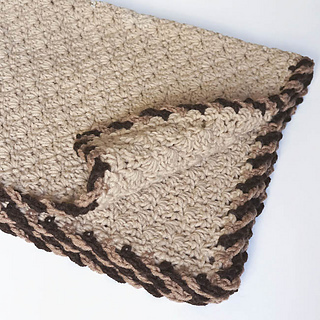 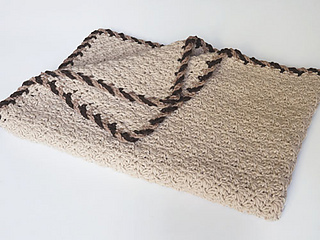 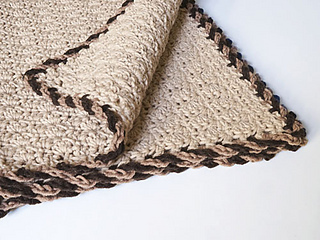 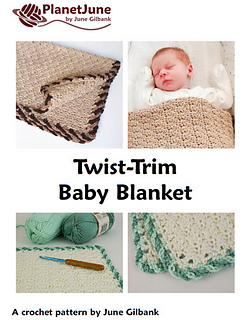 Twist-Trim Baby Blanket is an original PlanetJune Accessories crochet pattern by June Gilbank. 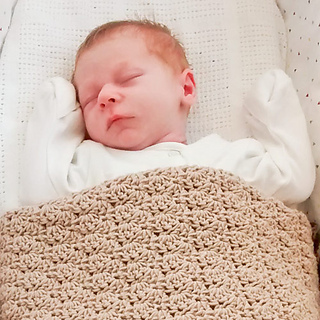 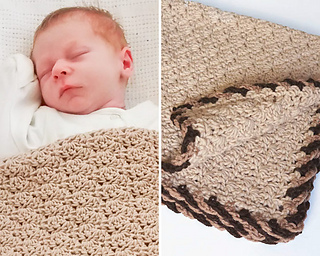 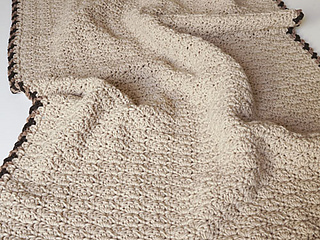 An easy-to-memorise 2-row repeating pattern with a subtle texture and no large holes make this blanket fast to work up as a baby blanket (or use the provided tips to enlarge it to any size). 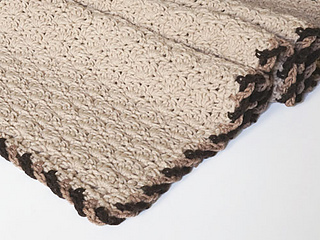 Choose two contrasting colours to crochet the eye-catching twisted edging, or omit the final row of the border for a faster finish. 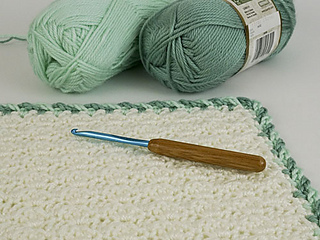 Details: This detailed pattern includes full written instructions, clear charted stitch diagrams, a two-page step-by-step appendix for the special twisted edging (included separately both for right- and left-handers), and bonus instructions for fixing the edging if you made a mistake anywhere earlier, so the edging colours will always match up seamlessly. 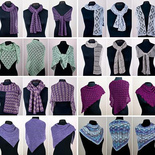 Save money: Take advantage of the savings when you buy any three PlanetJune Accessories patterns of your choice as a custom set!